Is this the game changer that the people of Sierra Leone have been longing for? 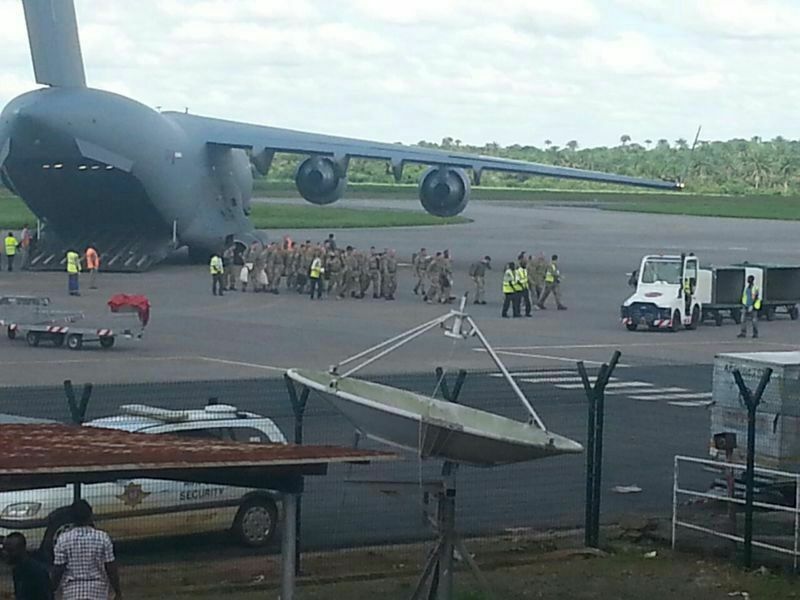 Yesterday saw the arrival of the first contingent of thirty British troops in Sierra Leone to help fight the deadly Ebola. In the last six months, more than 600 people have been killed by the virus, which started in neighbouring Guinea. Last week, the British government announced a comprehensive package of support for its former colony Sierra Leone, including the supply of 700 treatment beds. But there have been criticisms by many in Sierra Leone, of the British response, especially at the start of the outbreak. The expectation was of a concerted and coordinated action by the Commonwealth of Nations, led from the front by Britain. The British government says that its early response had been channelled through WHO and the international health agencies that are working on the ground. Clearly, this British defence in response to the strong criticism, has not held sway, especially in the face of the massive material, logistics and human resource support that Sierra Leone is receiving from China. 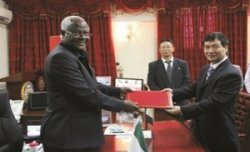 But with the arrival of the first contingent of British military engineers, logistics and health experts yesterday, there is a renewed sense of hope in Freetown, that the British will help the government of president Koroma bring some sanity and order, in what is fast becoming a somewhat chaotic fight against Ebola. The advance party of British troops will construct a treatment centre in Kerry Town, Freetown, primarily aimed at providing treatment for Sierra Leone’s rapidly declining health workers who are succumbing to the virus. Four doctors and scores of nurses – not previously trained to handle Ebola, have so far died in Sierra Leone. And there are speculations that close to 20,000 people may die, if proper training and guidance, as well as effective protective wear are not provided. But British scientists have learnt a lot from the near fatal experience suffered by one of its citizens who had contracted Ebola in Sierra Leone and airlifted back to the UK for treatment. 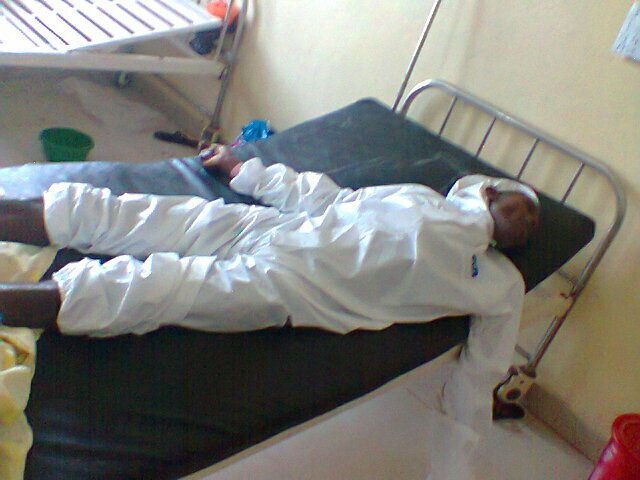 He has made a full recovery, giving hope potentially to millions in Sierra Leone who are at risk. It is understood that once completed, the British constructed Ebola treatment centre at Kerry Town, will also act as a training centre for Sierra Leone’s medical and health staff. But there are also unconfirmed reports that the British troops will help establish another treatment centre at Jui, which it is understood will be run by the Chinese. The unfolding tragedy of the Ebola incursion in Sierra Leone has invited a complex mosaic of interventions from a wide range of well meaning, uncoordinated and disparate agencies from China, Russia, Cuba, Europe and the USA. But something vital is seriously missing: An integrated, coordinated strategy and a national Ebola management framework funded by the World Bank , to which the intervention measures of each of the agencies that have come to help the people of Sierra Leone, must be aligned. None of the committees established by the government has so far been able to provide an effective strategic governance framework, despite the exponential increase in Ebola fatalities – not even the Ebola Emergency Operation Centre, or the presidential Ebola Task Force. 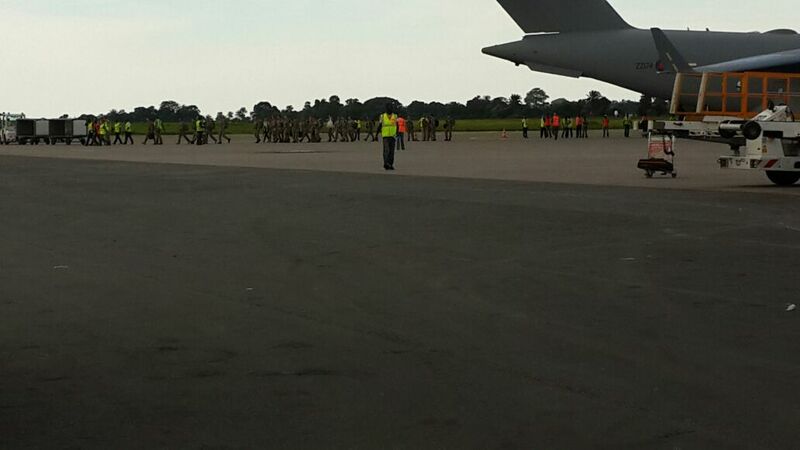 They have all been overwhelmed by the scale, pace and magnitude of the Ebola incursion. Will the British boots on the ground make a significant impact? Last week, the UN Chief Ban Ki Moon announced that based on a UN General Assembly resolution 69/1, a new UN Mission for Ebola Emergency Response (UNMEER) will be established in Ghana, with sub-offices in Liberia, Sierra Leone and Guinea. Its aim is to support efforts and reinforce government leadership in the respective countries. But critics say that the UN Resolution does not go far enough. With over 500,000 people projected to be killed by Ebola in West Africa in the next six months, it is imperative that the UN must consider taking full control of managing the Ebola crisis. All countries – China, Cuba, Russia, and others that are now firmly based in Sierra Leone – helping to fight Ebola, must operate under the UN banner and a UN coordinated strategy. The present unilateral, Shuttle Ebola diplomacy adopted by those countries must stop. Only the UN can mobilise the gigantic level of logistics, material, specialists and military resources that are now required in Sierra Leone to stop the spread of Ebola, as well as provide comprehensive treatment. The British government welcome the proposed UN coordinated response. In a statement last week, it said that: “Bringing this outbreak under control needs significant international cooperation. The UK has committed to taking a leading role in Sierra Leone, a country we know well. 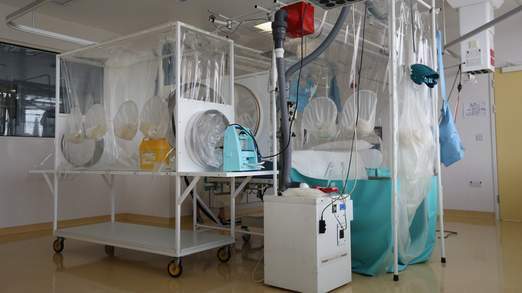 (Photo: The world class British Ebola treatment beds destined for Sierra Leone). The UN General Assembly meets this week in New York and the Sierra Leone Telegraph is calling for an amendment to Resolution 69/1. This proposed amendment will empower the new UN Mission for Ebola (UNMEER) to take full responsibility for managing the crisis in Sierra Leone, Liberia and Guinea, rather than merely providing support for the respective governments, if it is to avoid a catastrophe of biblical proportions.